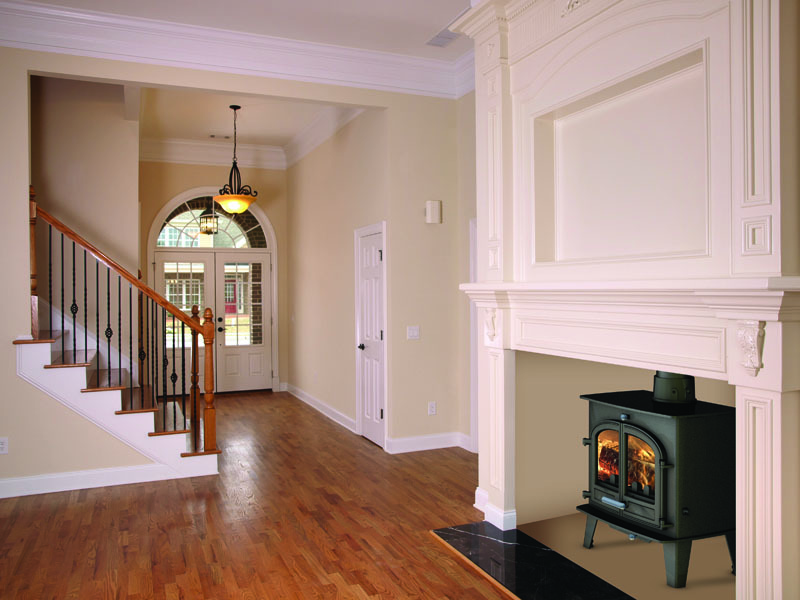 Our fireplace & stove company first opened its doors back in 1983 and it is still run by the original local owner. 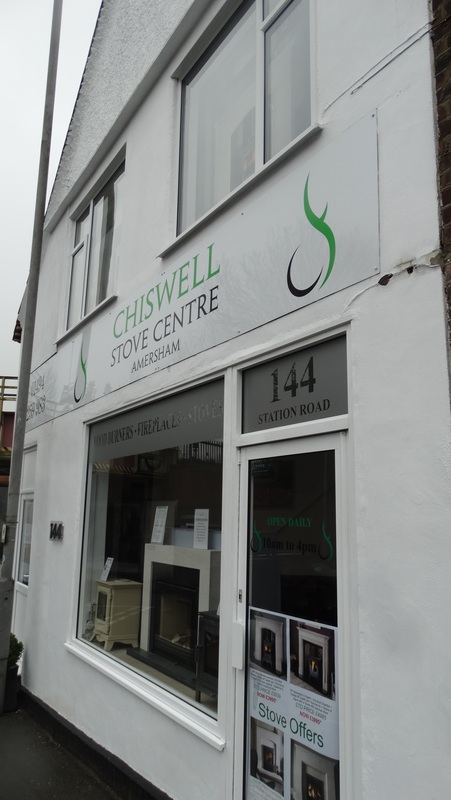 The main showroom in Chiswell green St Albans has grown over the years to an impressive 2200 square feet which is a few minutes off Junction 21a of the M25, M1 South Junction 7-8 or M1 North Junction 6. (Sat Nav : 192 Watford Rd AL2 3EB) With over 35 fireplaces 20 of which are working appliances. 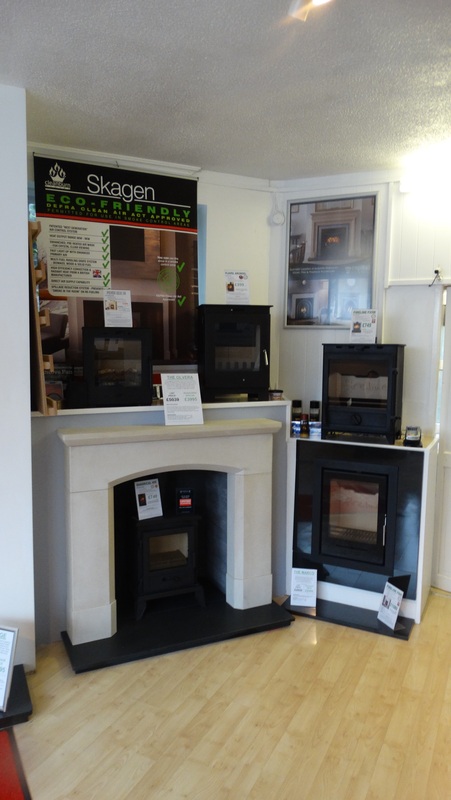 We have over 30 stoves on display with 2 live demonstrators working most days. 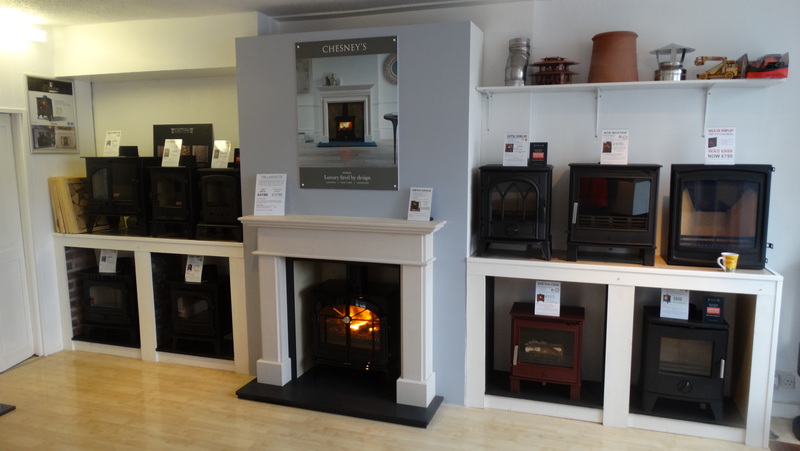 As of September 2014 we have opened up our dedicated Stove centre in Amersham Buckinghamshire. 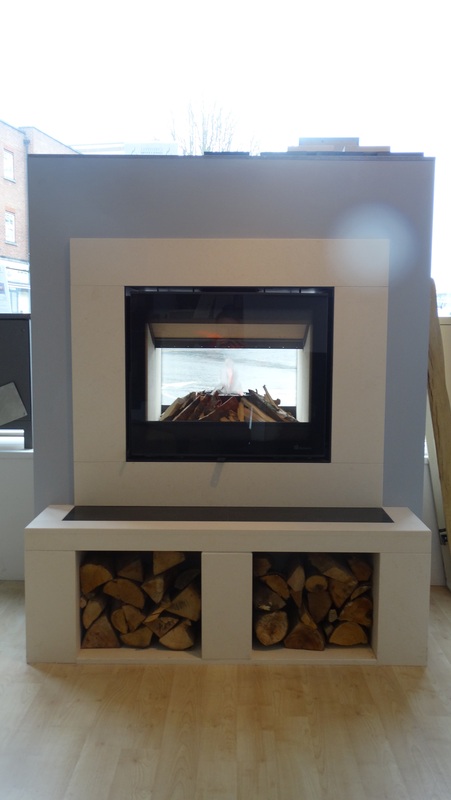 This showroom will boast 30 stoves including contemporary & traditional designs, Inset & freestanding models. 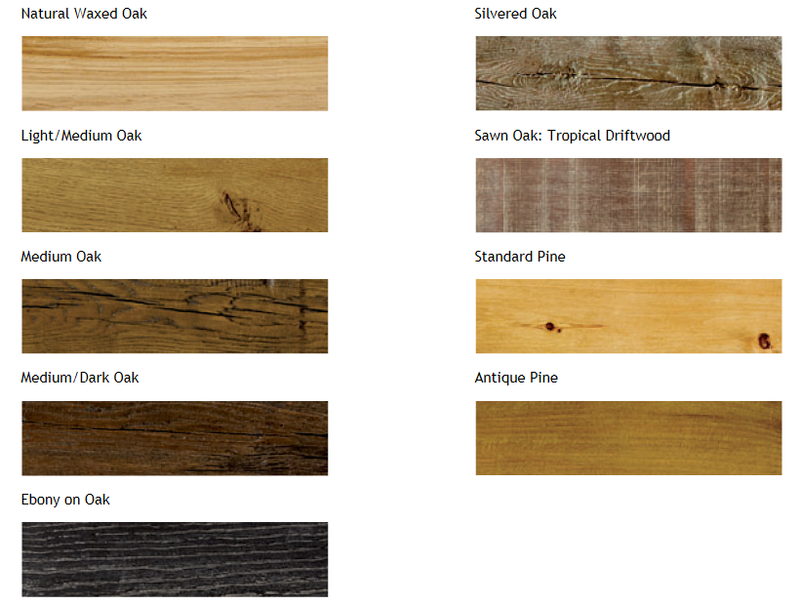 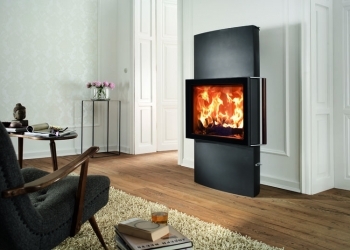 There is a multitude of fireplace options all designed around stoves. 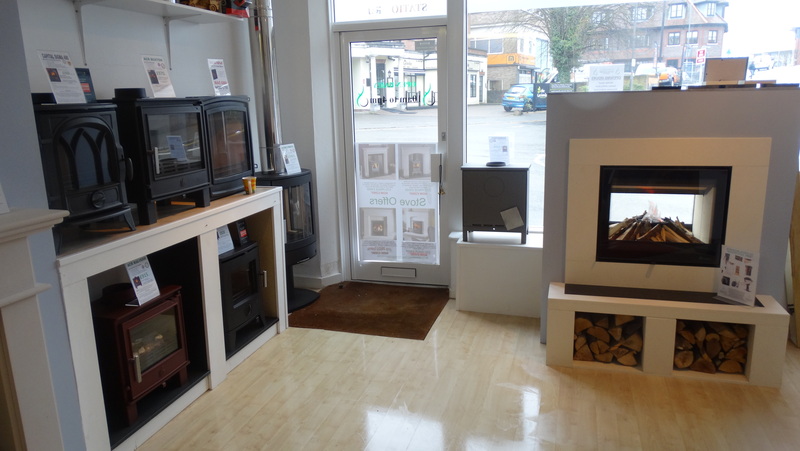 Why not visit the showroom at 144 Station Rd (A416) Amersham Buckinghamshire. 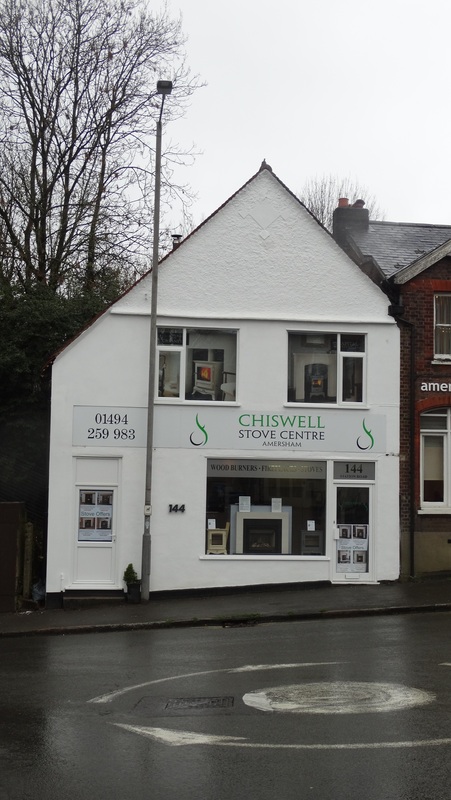 (Sat Nav : 144 Station Rd HP6 5DW) We are so proud to be a company that yet is small enough to give a personal service but big enough to offer a complete range of products services and after sales back up. 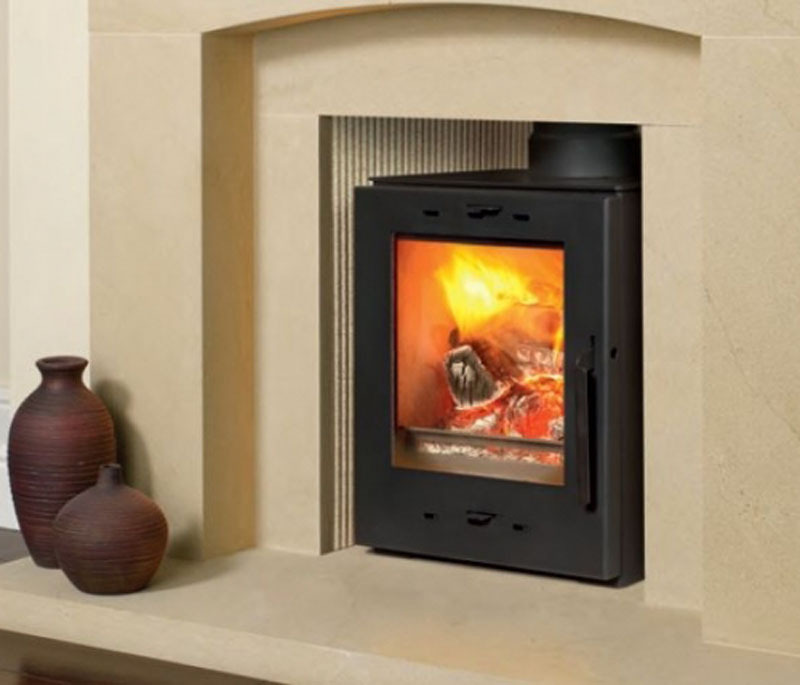 We pride ourselves on being able to offer the full service of conception to completion of your desired fireplace or stove. 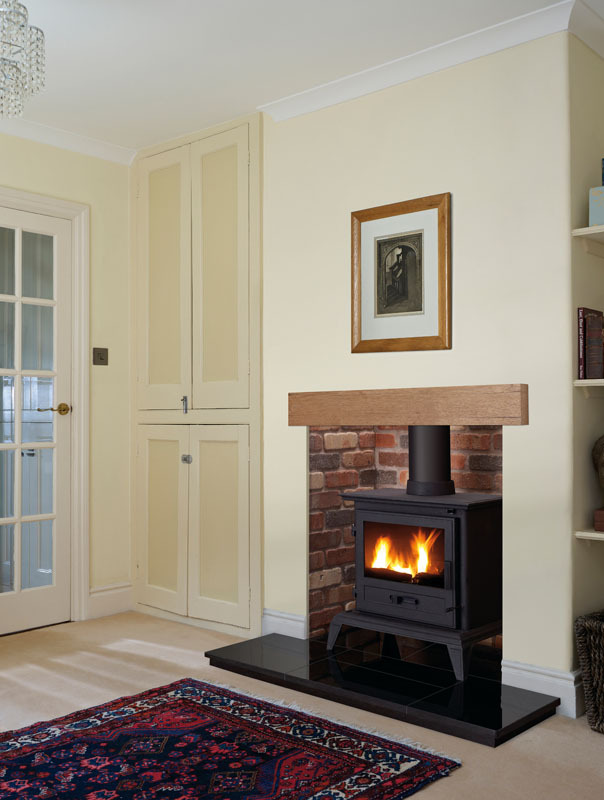 Our fitting teams have years of experience between them fitting of fireplaces, fire surrounds, fires and stoves – gas, solid fuel and electric. 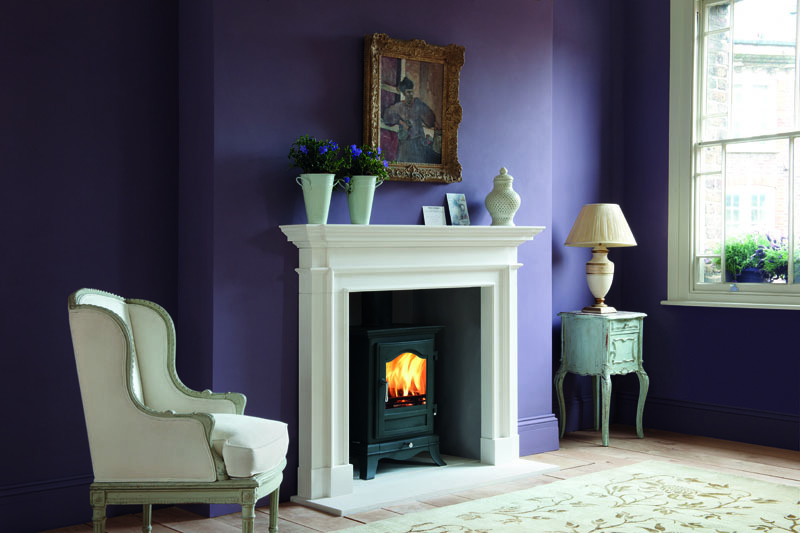 We are Gas Safe registered and HETAS qualified. 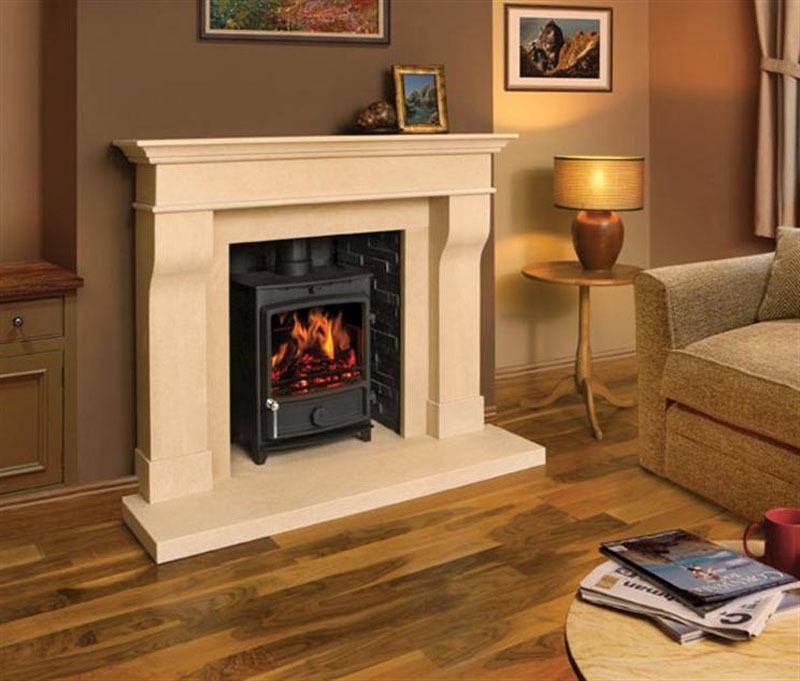 With Over 30 years’ experience in the industry and our company ethos is professionalism, customer service and pride in our work. 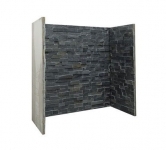 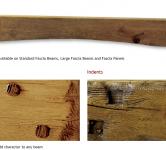 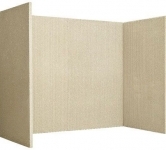 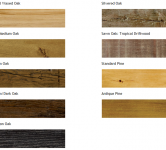 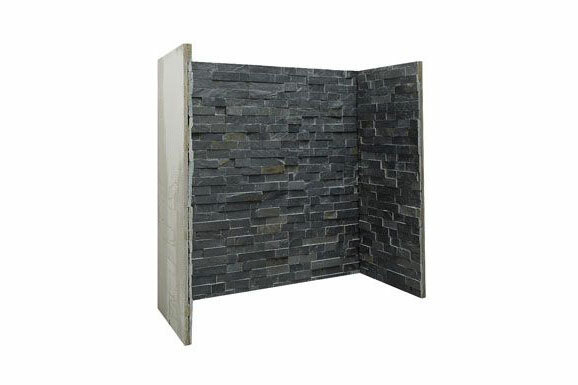 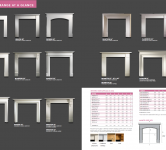 All this enables us to offer you the highest quality fitting service available. 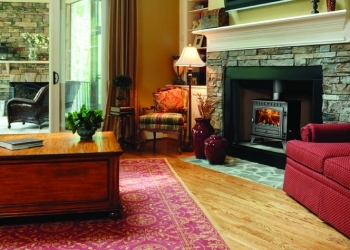 We are proud of the fact that so much of our work comes to us from customer recommendation and repeat business. 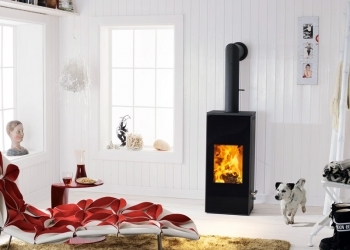 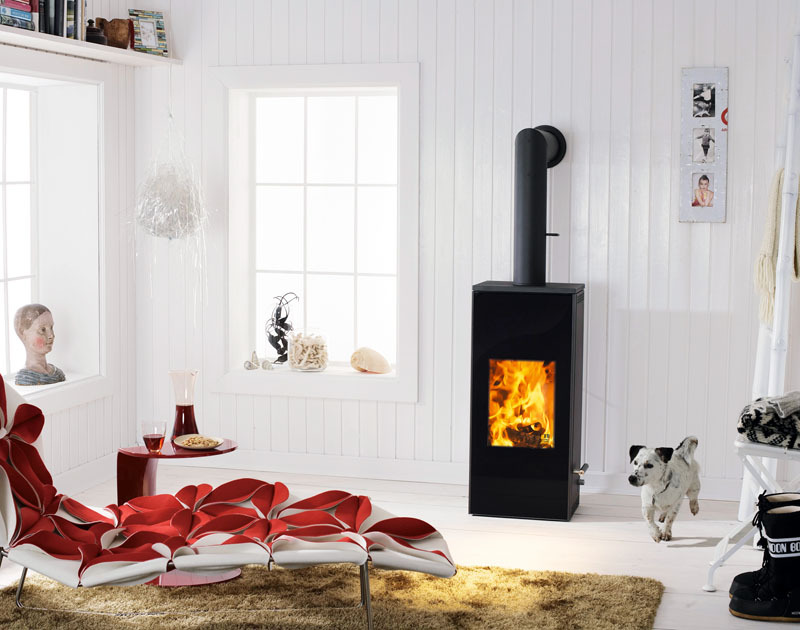 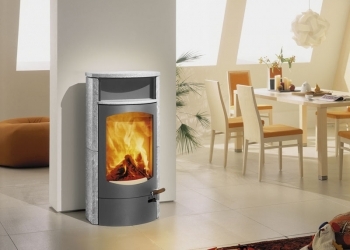 Wood burning Stoves: A wood burner is very similar to multi fuel stove in construction. 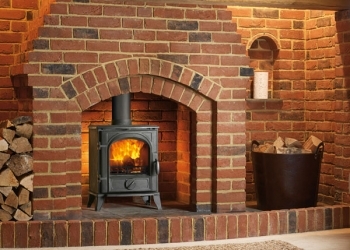 The main difference is that the wood burner will have a firebrick lining a flat fuel bed and a log retainer so a bucket & spade will be required when emptying. 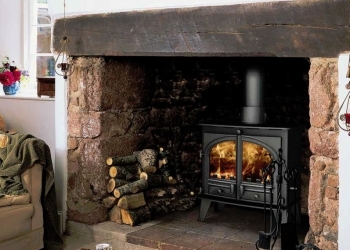 Wood burns best in at least an inch of its own ashes. 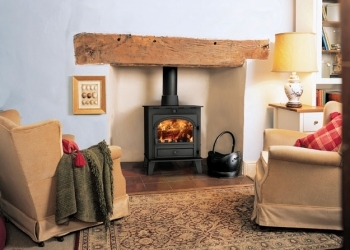 If you want to do your bit for the environment or help reduce your carbon footprint then a wood burner is a good start. 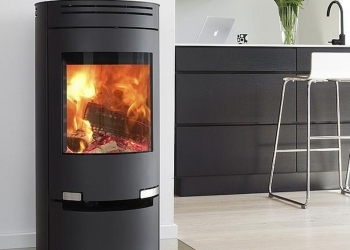 Burning wood is carbon neutral because when burned as the amount of carbon dioxide released into the atmosphere is the same as that absorbed by the tree during growth. 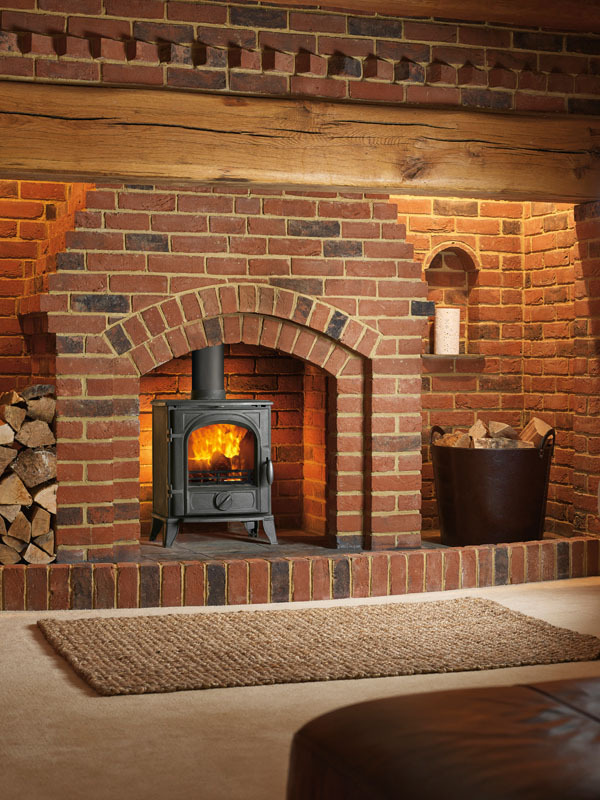 As we all know it’s a renewable resource, especially when taken from cultivated woodland or plantations .To get the best from your wood burner, we recommend logs should be seasoned for at least 2 years or more in a dry well ventilated place to achieve a moisture content below 20%.This will give around twice the heat output compared to freshly cut timber and help avoid a build-up of tar in your flue. 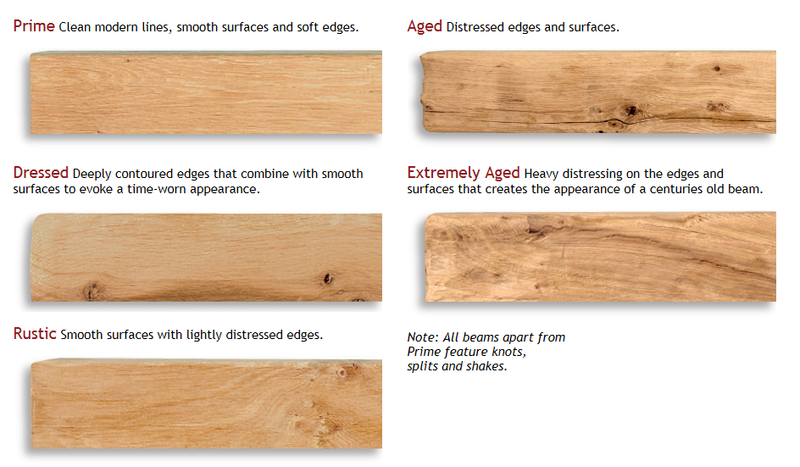 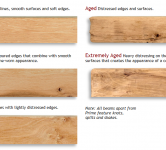 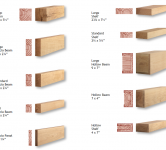 If you can obtain hardwood logs this is better still, as they will have around twice the calorific value of softwoods. 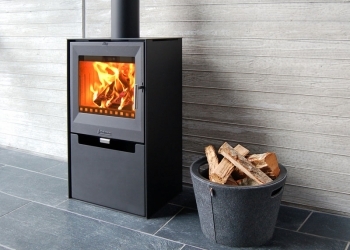 A multi fuel stove is basically a wood burning stove with few extra parts inside. 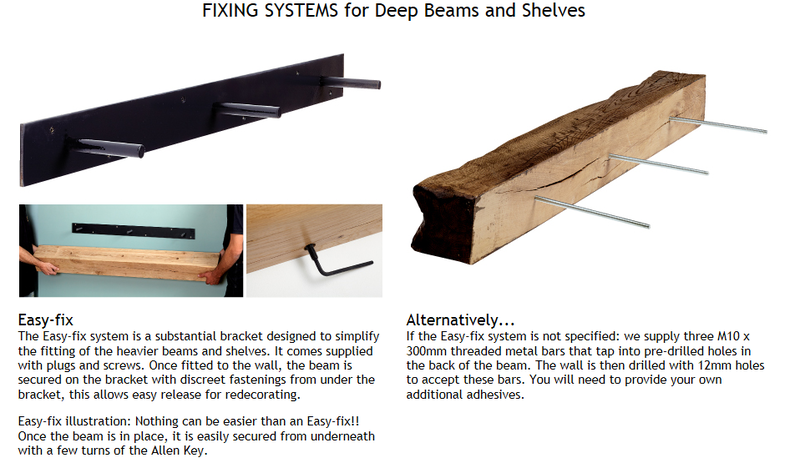 These extra parts are either a raised grate or grate bars and an ash pan. 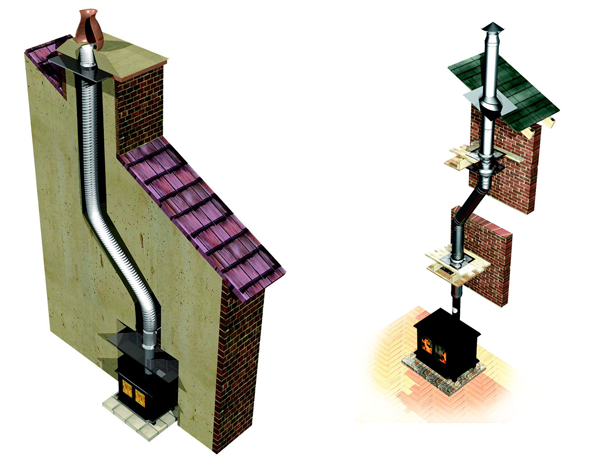 The raised fuel bed allows a stream of air to circulate underneath the fuel allowing complete combustion of the smokeless fuel. 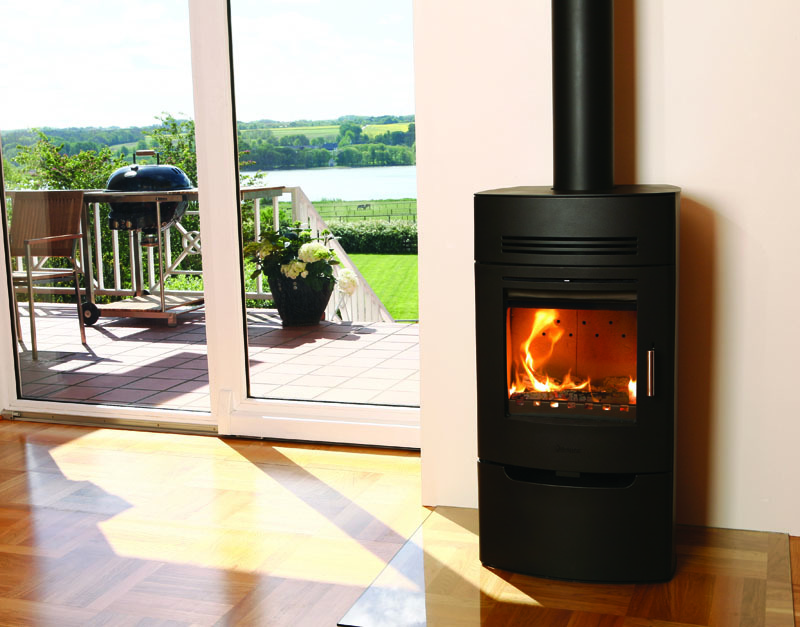 When choosing between a Multi fuel & a Wood burner consider your choice of fuel as smokeless fuels are manufactured of consistent quality and are available all year round. 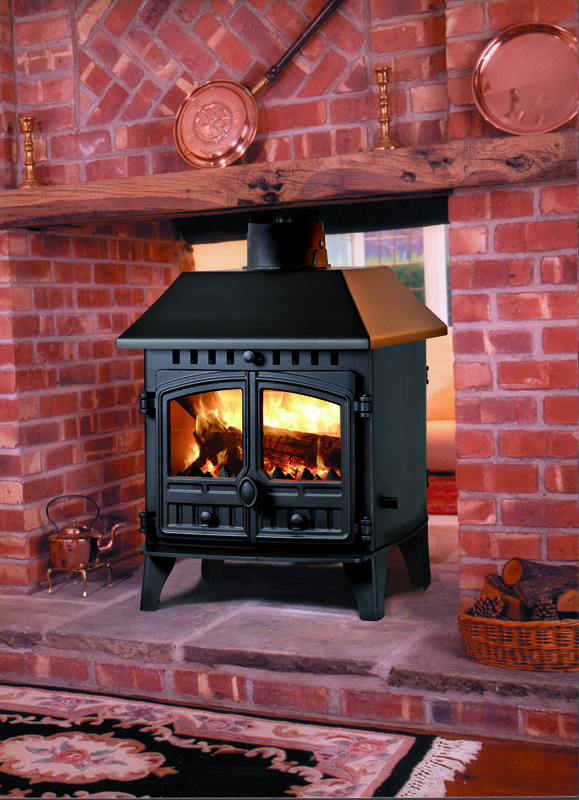 Whereas good seasoned dry quality wood in some areas can be very seasonal – if you may run out of seasoned, dry hardwood before the end of the heating season, a multi fuel stove gives you the opportunity of burning a combination. 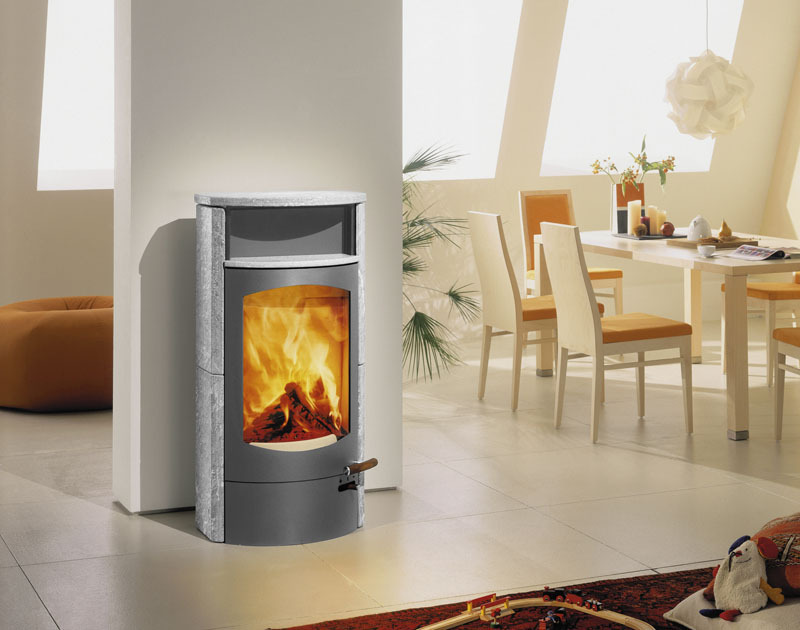 If you wish to burn wood in a smoke exempt area (Mainly inner town or city areas) your appliance MUST be exempt by an order made under the provisions of Clean Air Act 1993. 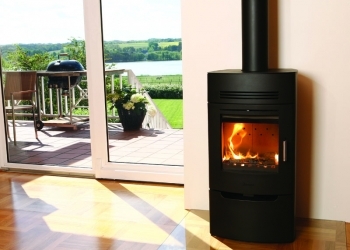 These types of wood-burning and multi-fuel stoves have passed air quality tests to confirm that they can burn solid fuel or wood without emitting smoke. 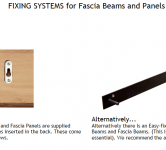 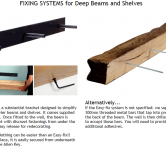 They also must be installed, maintained and operated to the manufacturer’s recommendations. 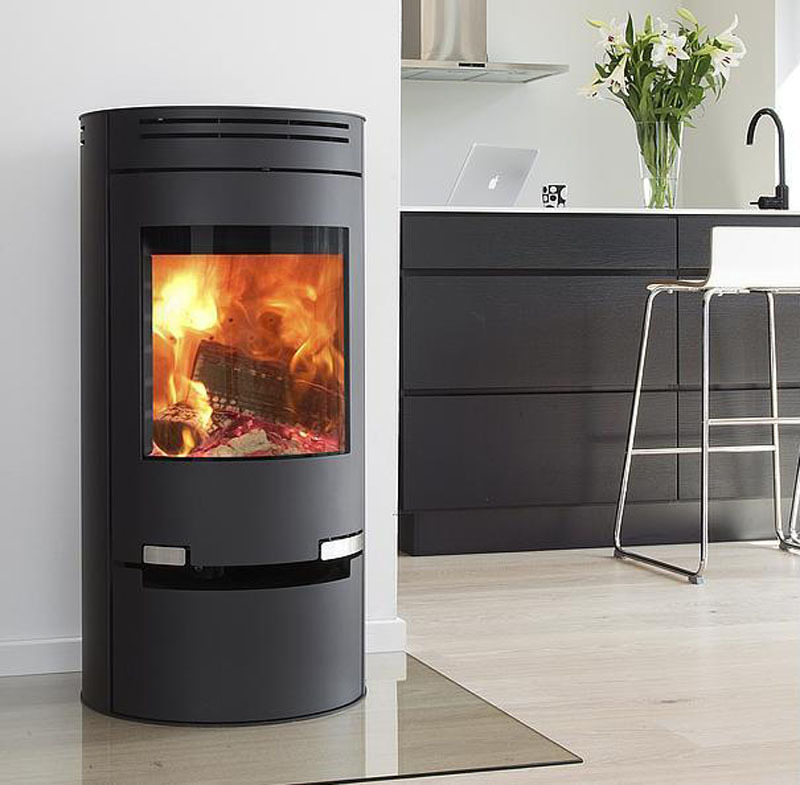 It is an offence under Section 20 of the Clean Air Act 1993 to allow smoke emissions from the chimney of a non-exempted appliance in a smoke control zone. 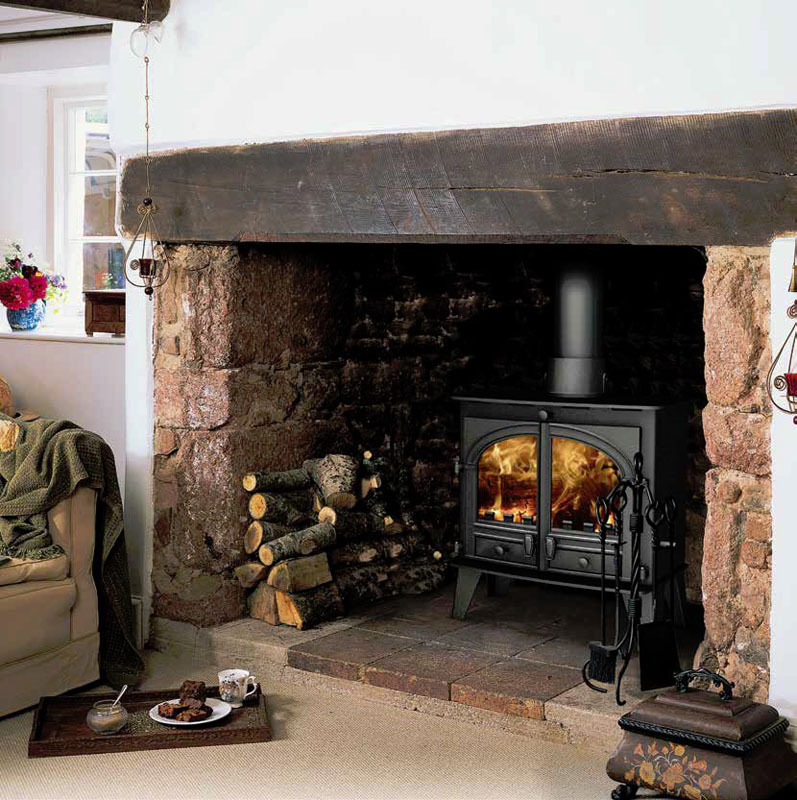 The current maximum fine is £1,000 for each offence. 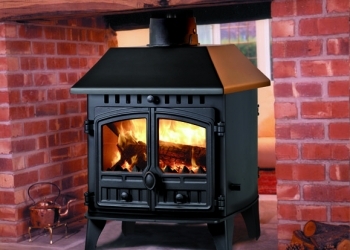 Complaints of smoke emissions are investigated by officers from Environmental Services, and part of the investigation process is to determine whether solid fuel stoves are exempt appliances, and whether the appropriate fuel is being burned. 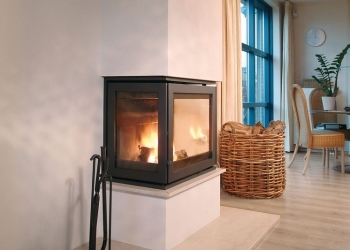 To be certain if you are or are not located in a smoke control area it is recommended that you contact the Environmental Health or Protection department of your Local Authority. 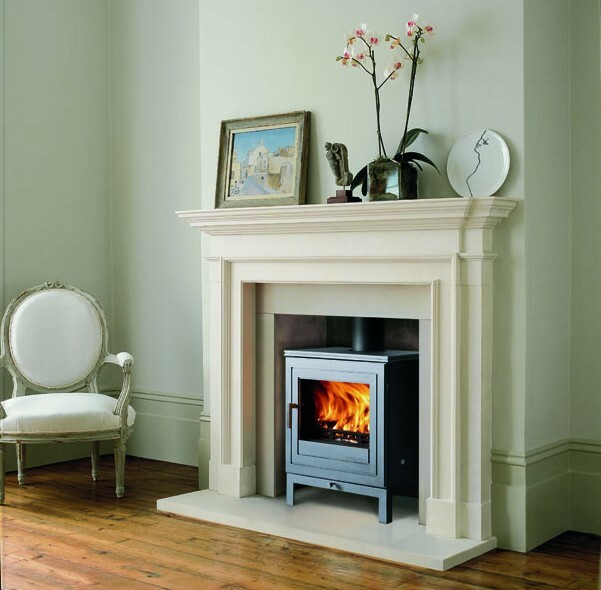 These appliances are made to be slotted into a chimney breast. 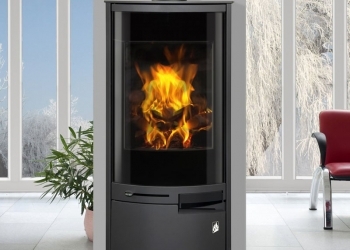 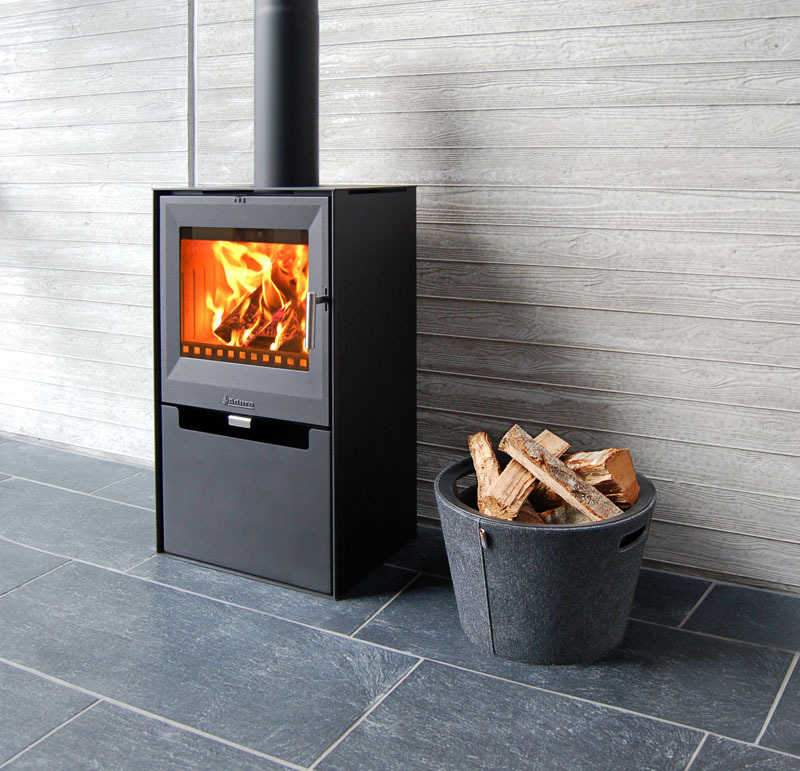 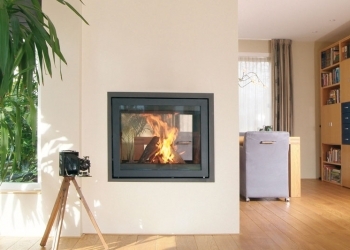 The inset stove is effectively a freestanding fire in a convection box, so it has own air gap it. 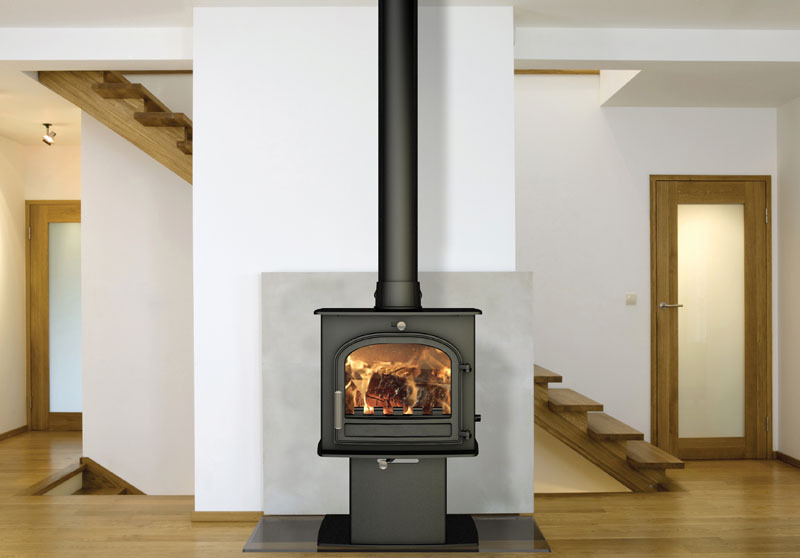 This now requires much less space than a free standing stove so you can get a much larger load area than most freestanding stoves. 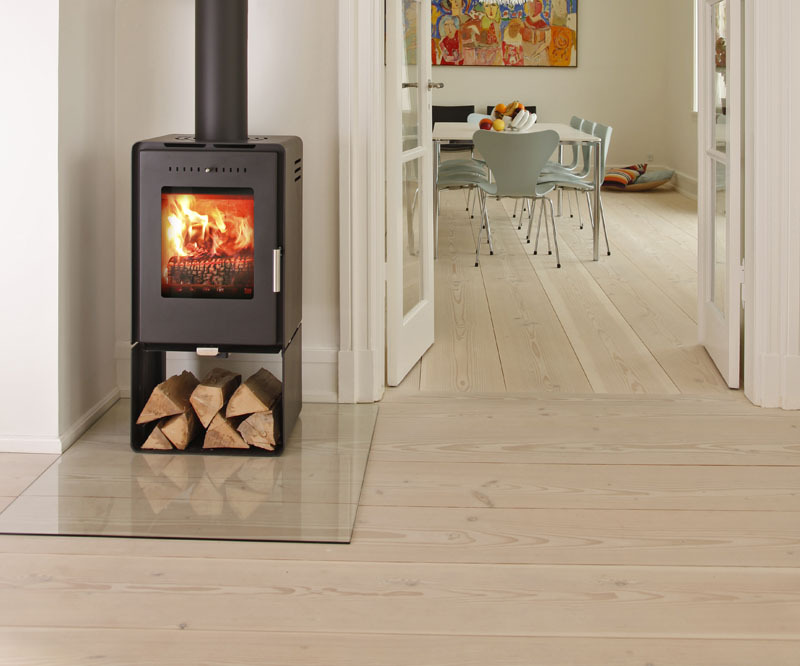 Free standing stoves require free air space around it to allow the radiant heat to disperse into the room. 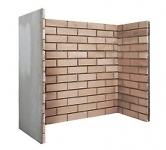 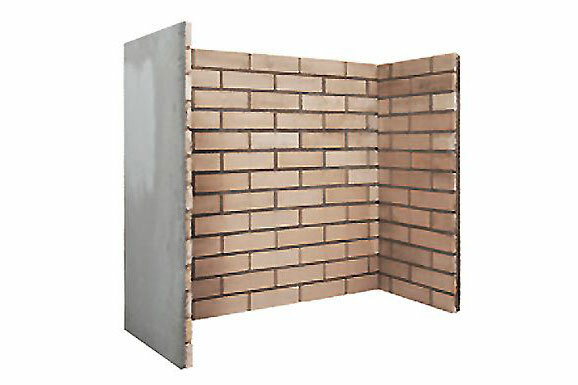 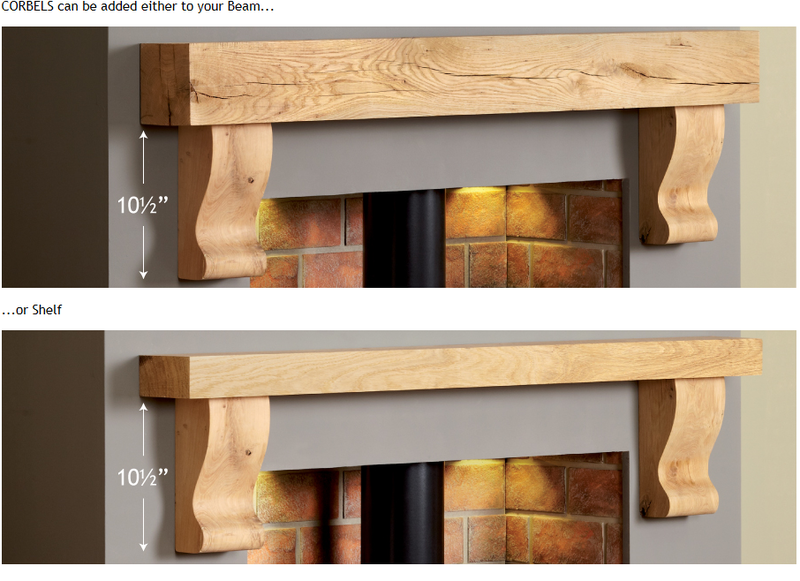 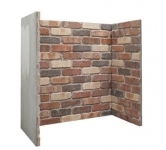 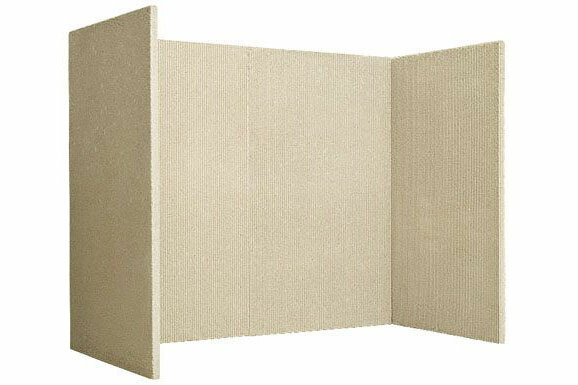 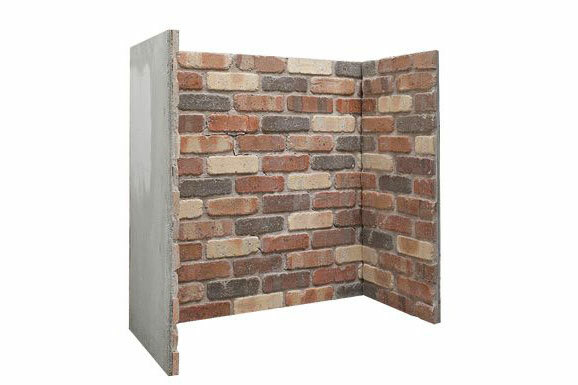 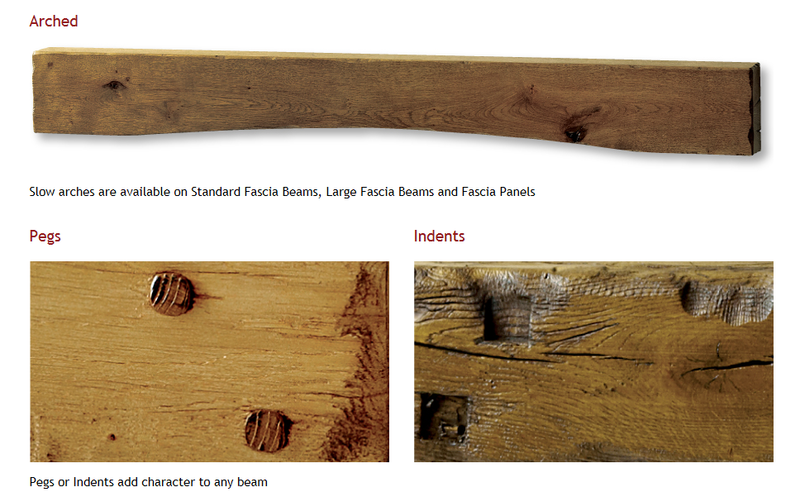 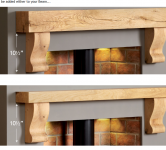 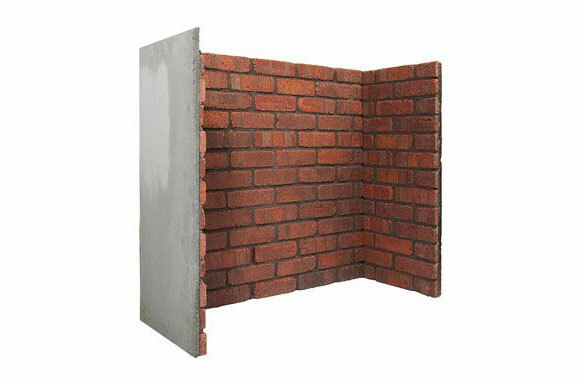 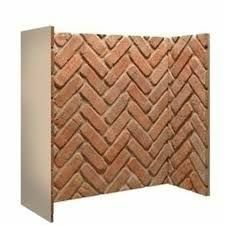 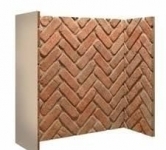 Inset can be great for smaller width chimney breasts. 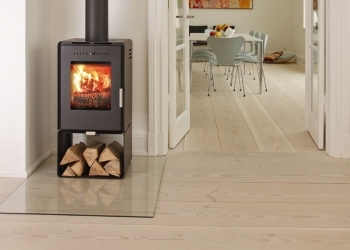 Most European models are Wood burning models. 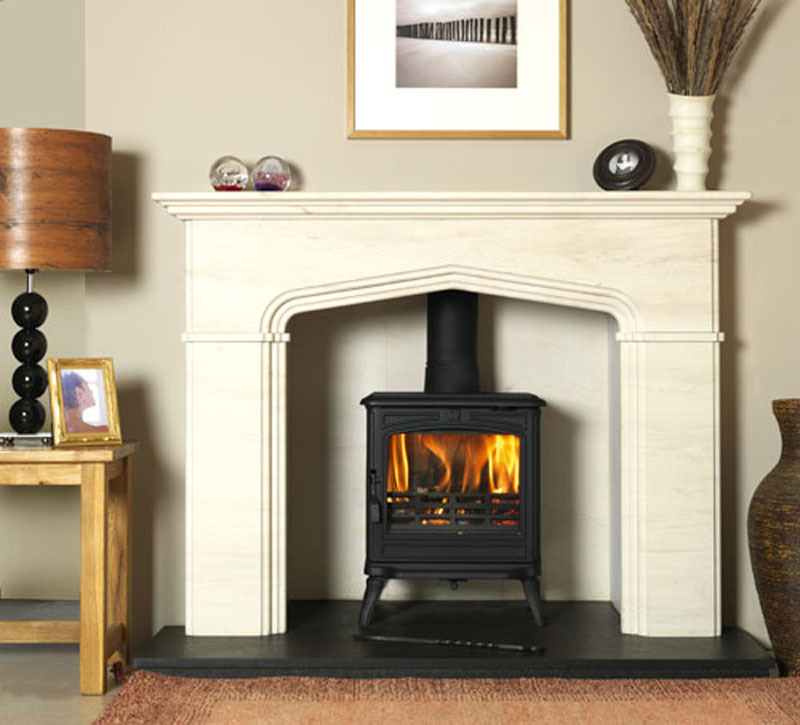 However there are a select few British designed models that offer multifuel versions. 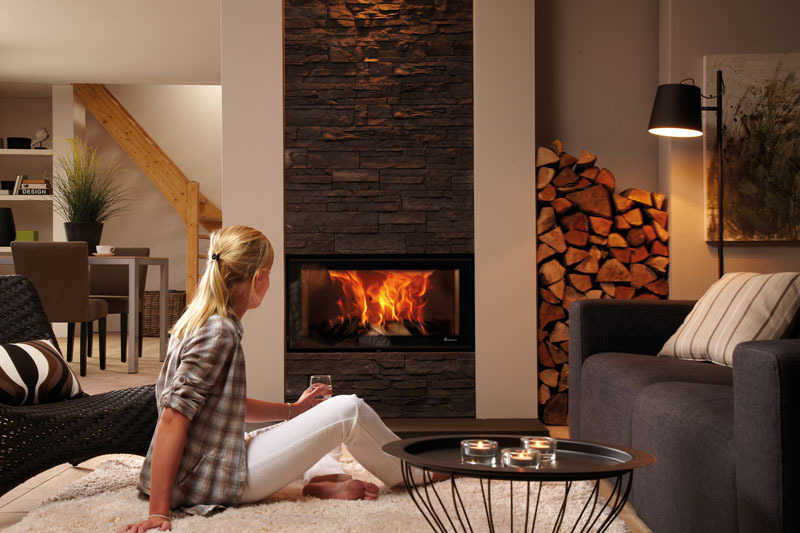 There are many ways of making your fireplace your own with various hearths, chambers, beams over the opening or full fireplaces. 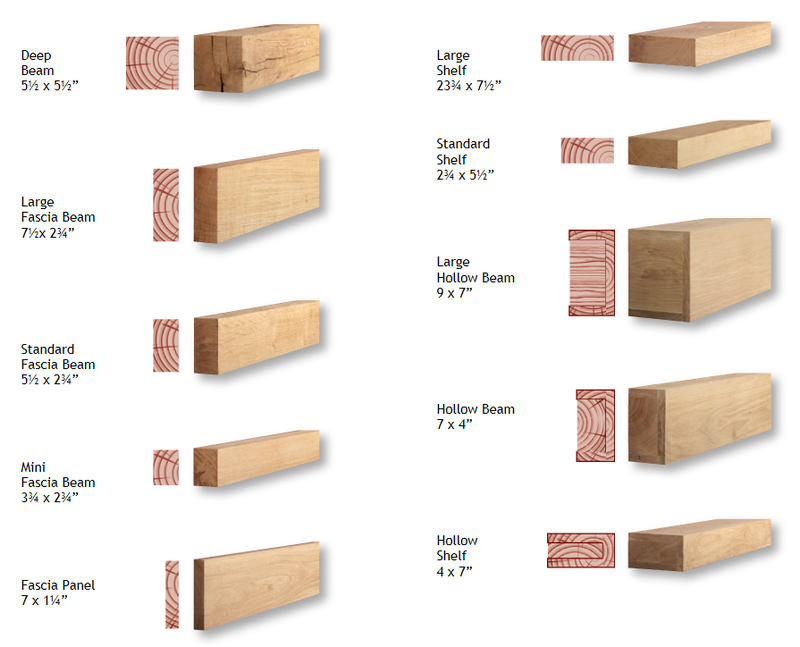 Here is a small selection of what is available. 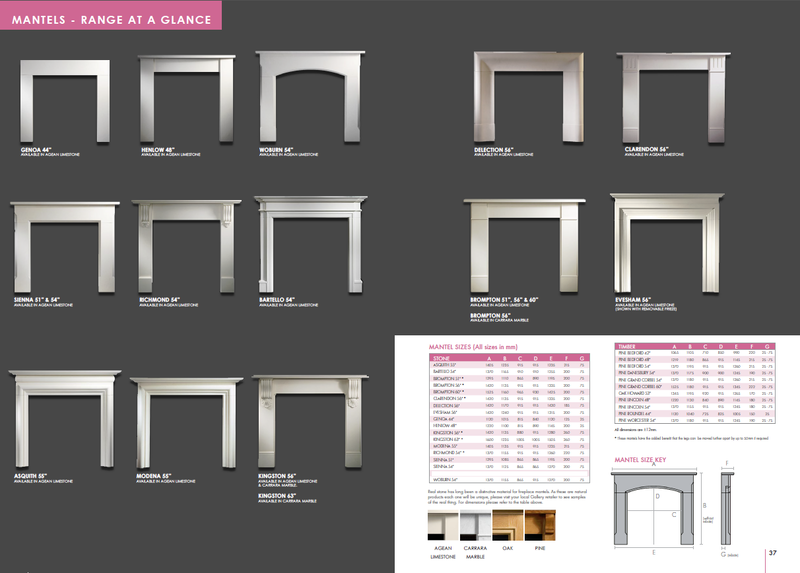 Why not pop in store for samples and brochures of all the options. 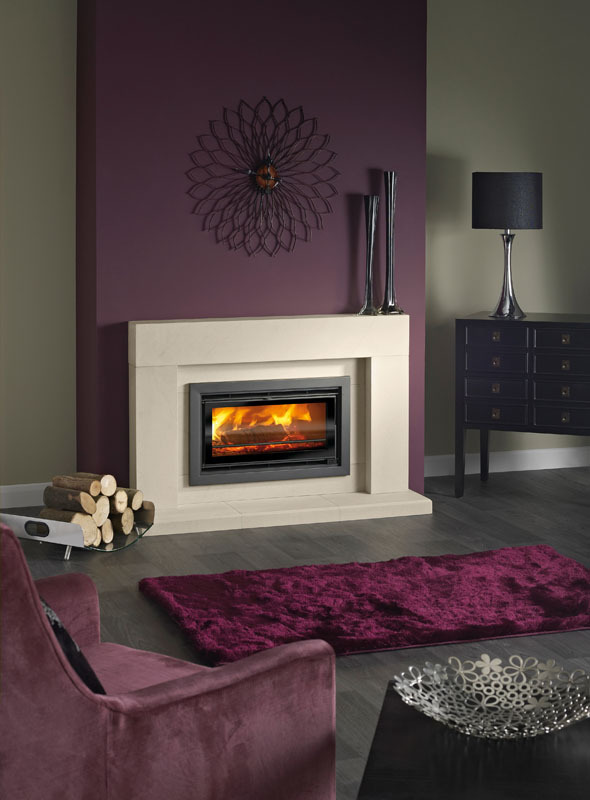 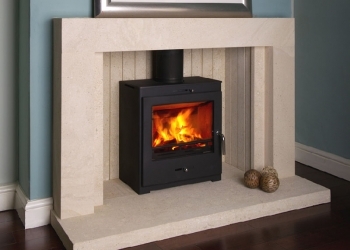 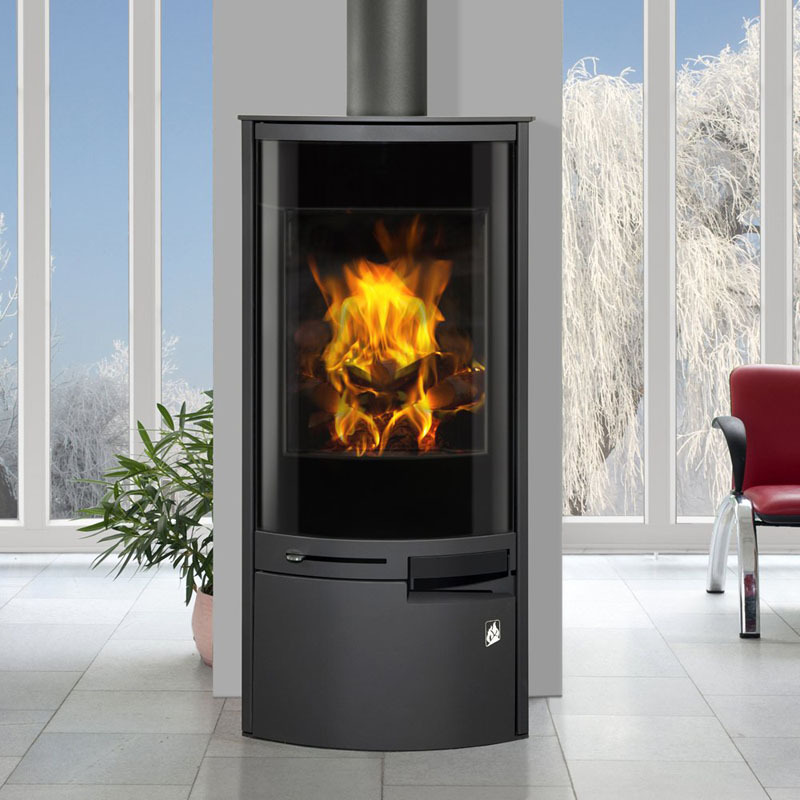 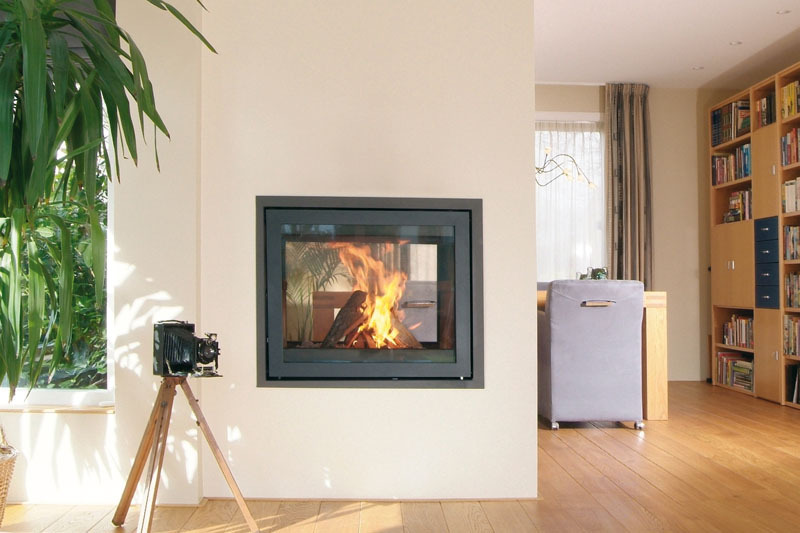 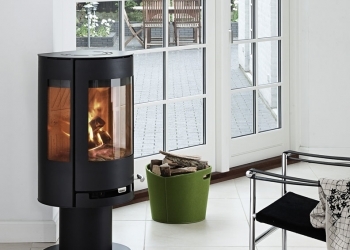 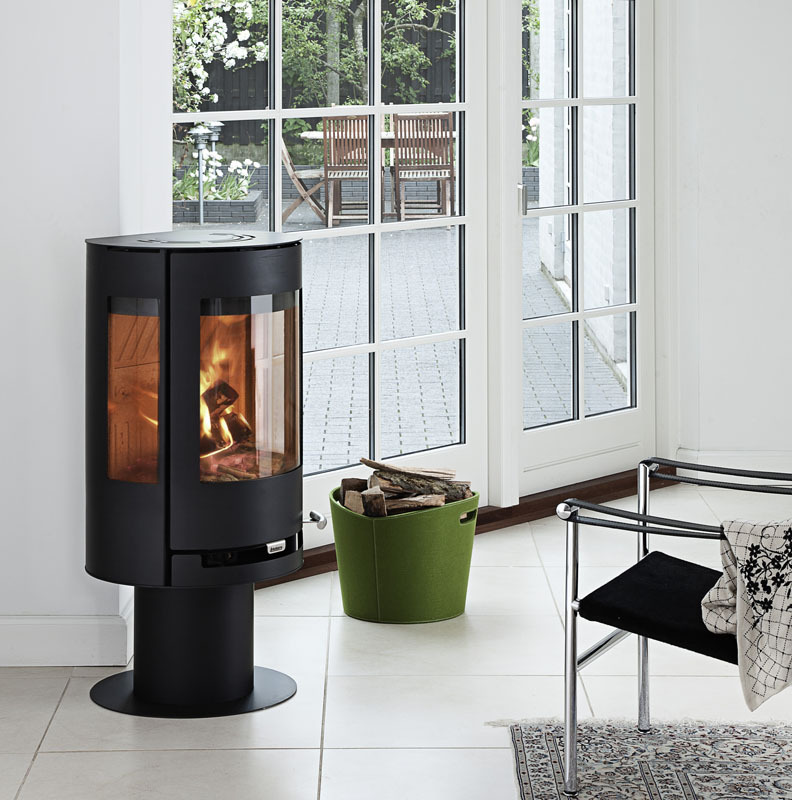 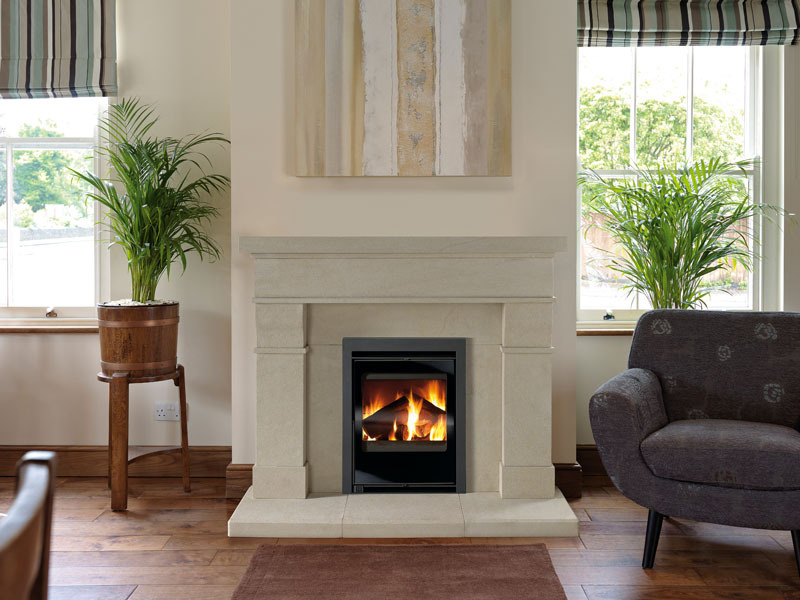 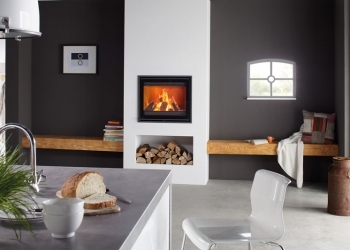 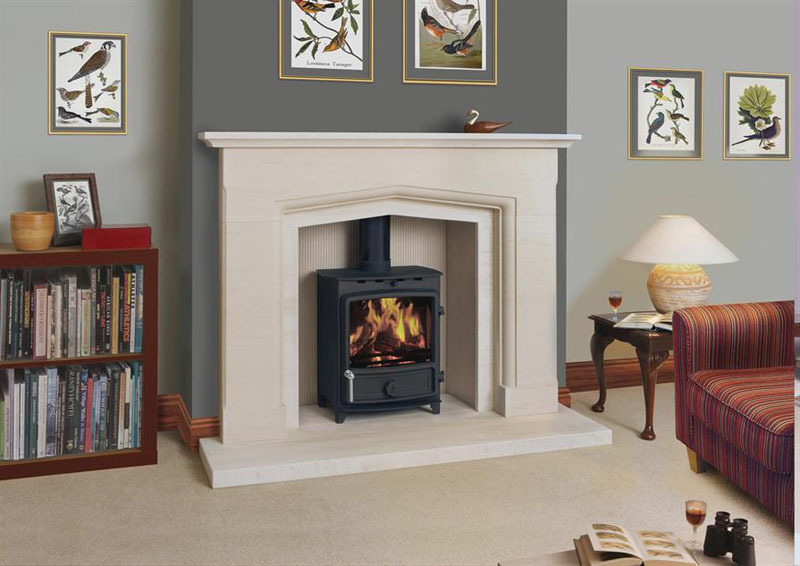 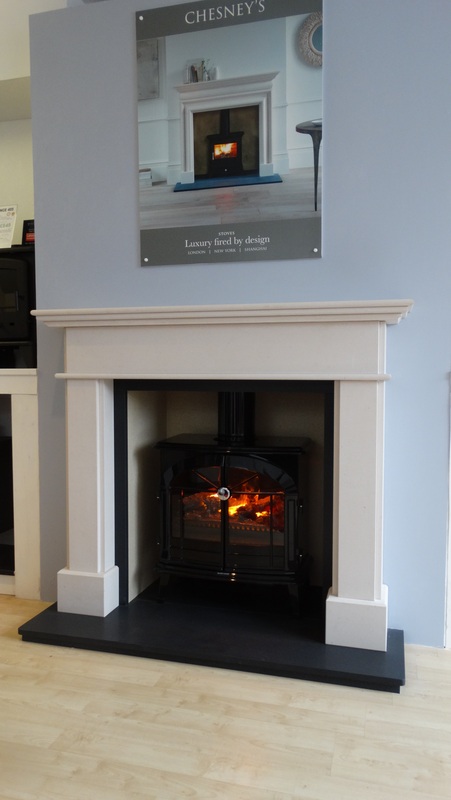 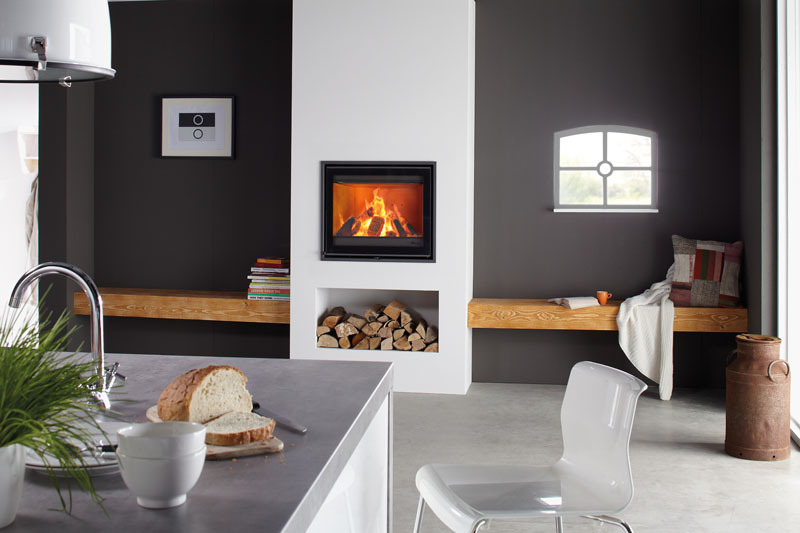 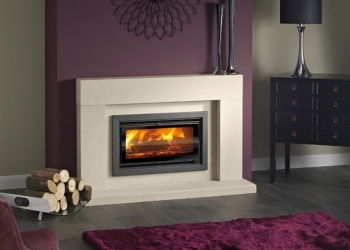 Here at the Chiswell Stove centre Amersham we offer a one stop shop where we can offer the full service from conception to completion. 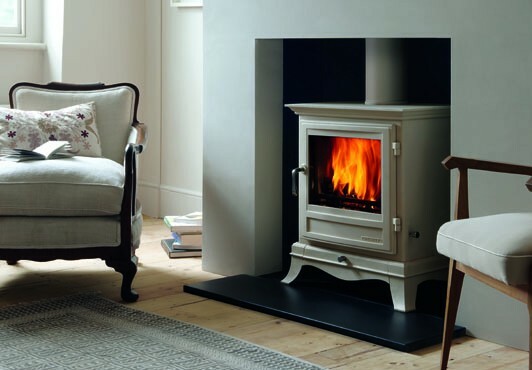 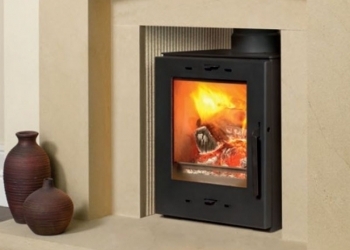 After purchasing your stove package from Chiswell Stove centre Amersham one of our fully trained installation team will come to carry out the installation. 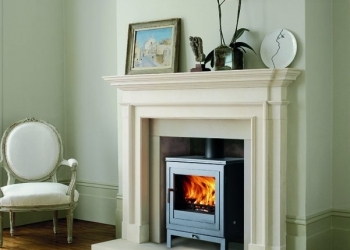 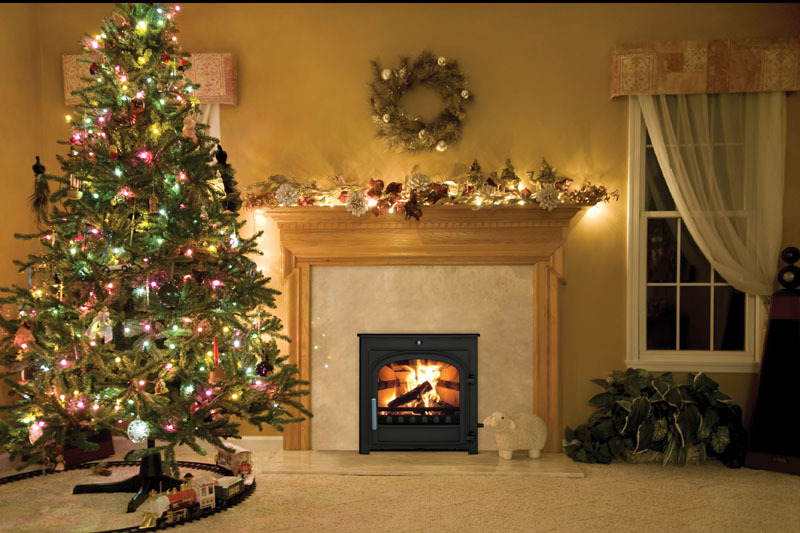 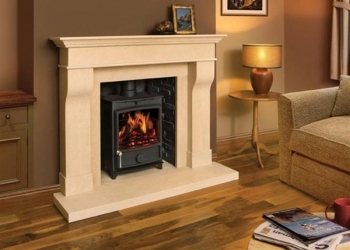 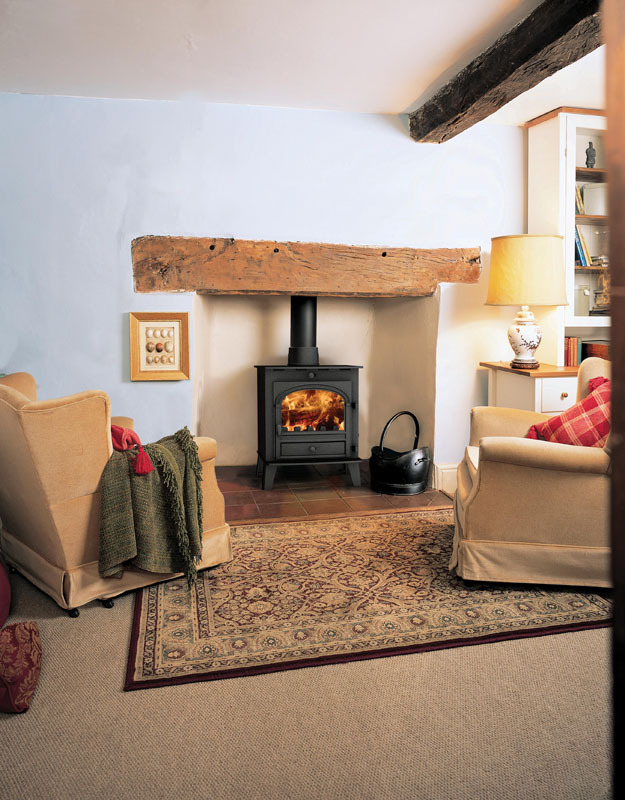 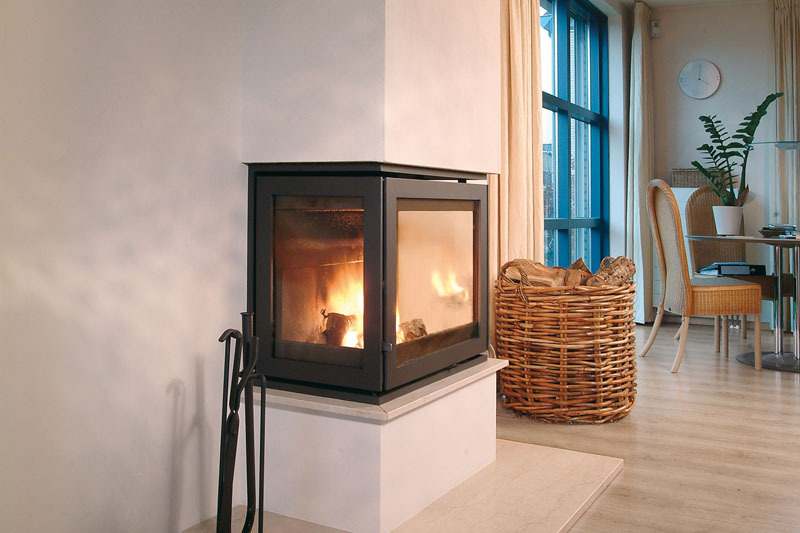 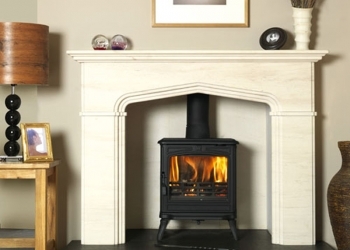 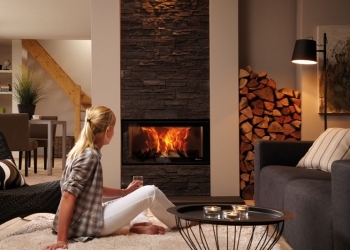 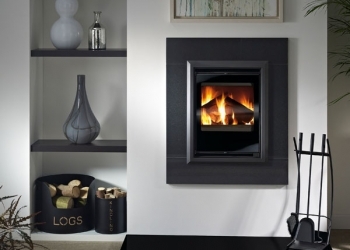 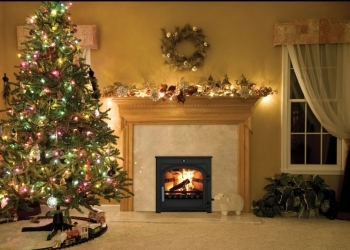 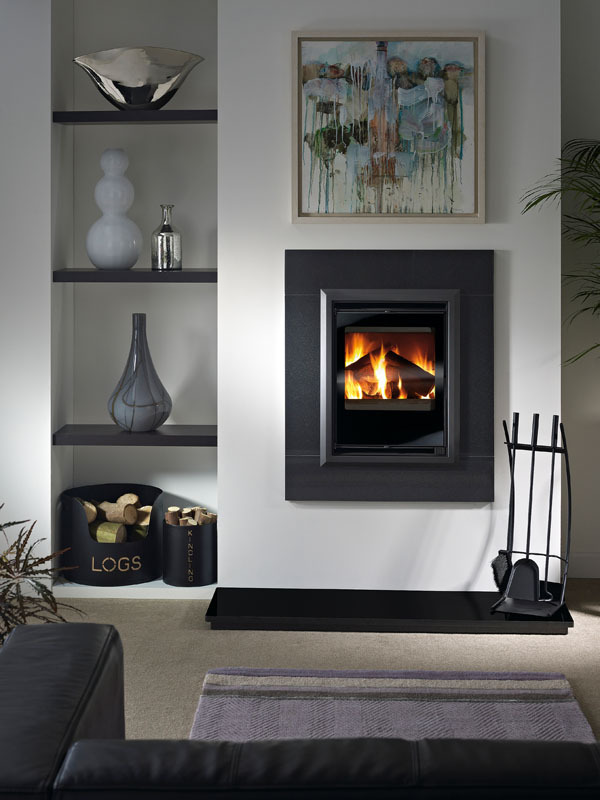 Our fitting teams have years of experience between them fitting of fireplaces & stoves – gas, solid fuel and electric. 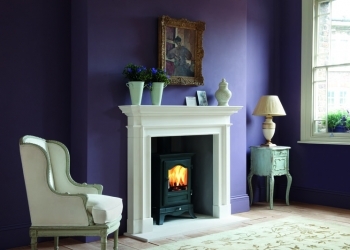 We are Gas Safe registered and HETAS qualified. With Over 30 years’ experience in the stove & fireplace industry and our company ethos is professionalism, customer service and pride in our work. 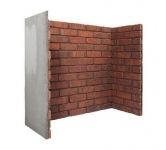 All this enables us to offer you the highest quality fitting service available. 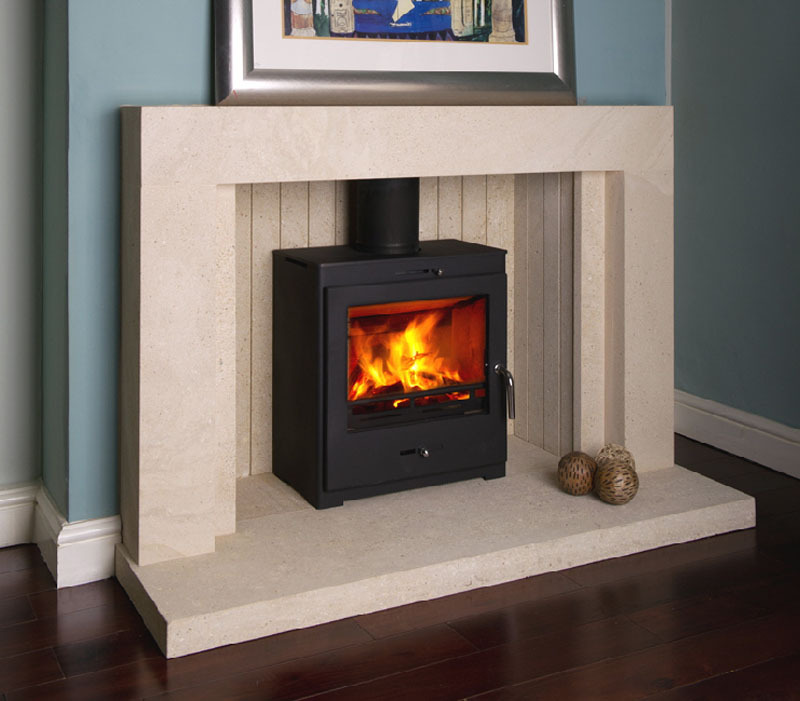 All installations are carried out by Hetas engineers registered to Chiswell Fireplaces Ltd. Reg # 1133. 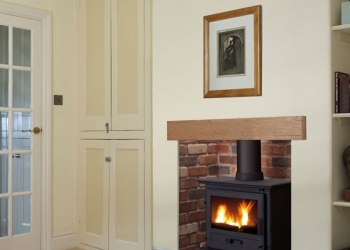 Installation of Free standing, Inset Stoves, Corner stoves, Tunnel Stoves. 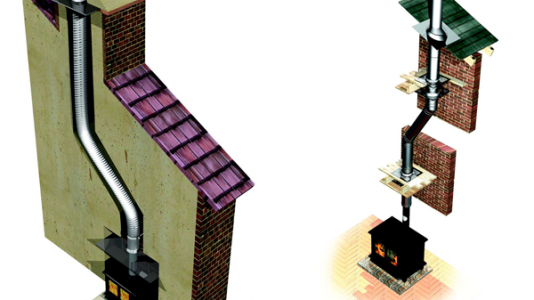 Flue lining for wood or multi fuel stoves. 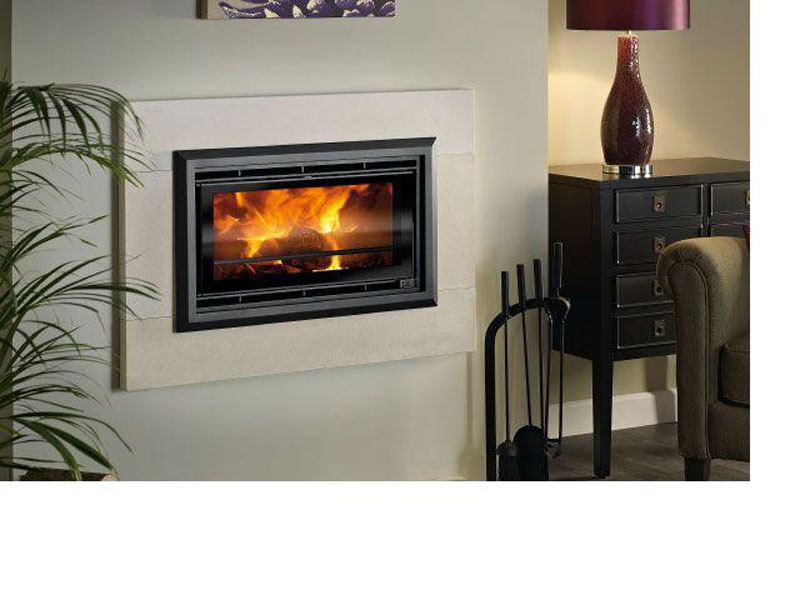 Chimney exhaust fans supplied & fitted. 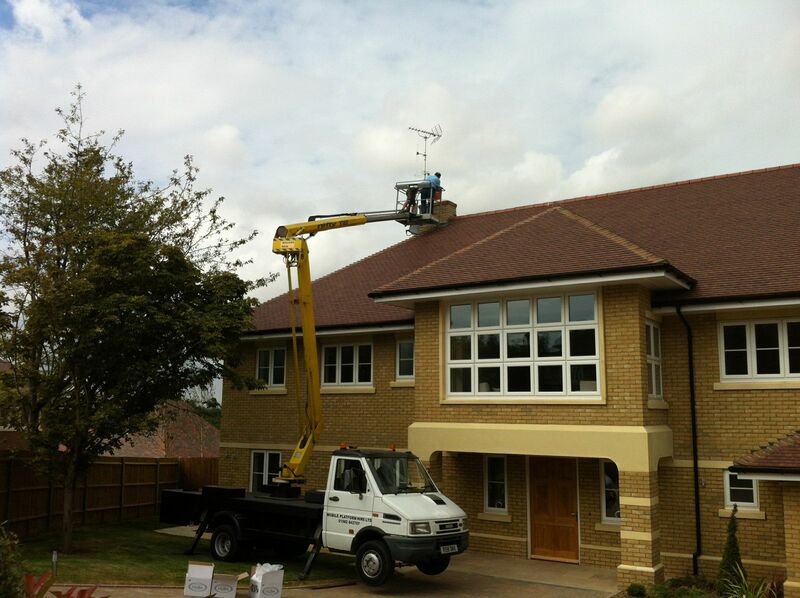 Chimney sweeping (when installing stoves). 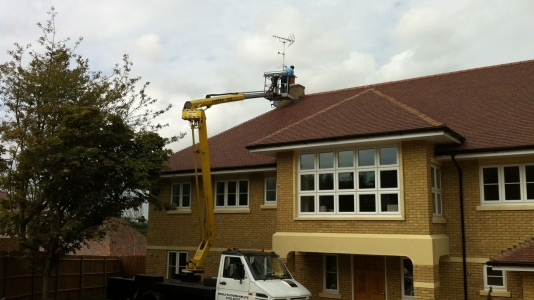 Supply of access hire (Cherry Picker Scaffolding). 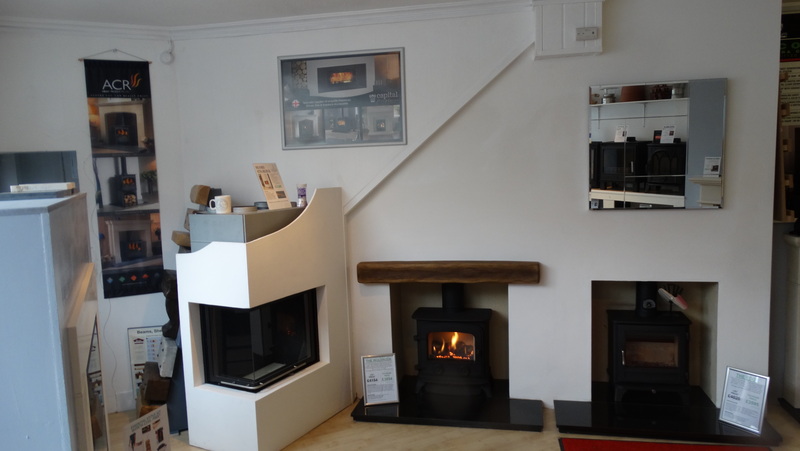 Safety checks carried out & certificate provided. 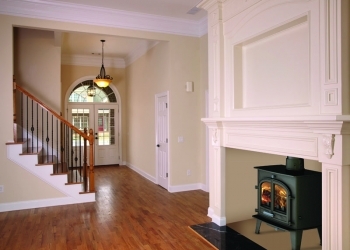 For added piece of mind every install comes fitted with Carbon monoxide alarm.